You can give China limited credit for being more LGBT friendly than Russia and the entire Middle East (besides Israel), but those are easy benchmarks to exceed. The Communist Party still censors a great deal of LGBT content, but they cast a ridiculously wide net. Social pressure and a lack of anti-discrimination protections are usually the more pressing reasons most gay and lesbian Chinese citizens often prefer to stay in the closet. That is especially true of an actor knocking on the door of superstardom. However, he finds New Yorkers roll differently in director-screenwriter Ray Yeung’s Front Cover (trailer here), which opens this Friday in New York. Ryan Fu is an up-and-coming fashion stylist and he happens to be gay, which maybe isn’t so shocking. Nevertheless, his latest client is completely taken aback by his unapologetic openness. Qi Xiao Ning is a Mainland movie star in desperate need of a makeover if he hopes to charm the American media. Qi insisted on a Chinese fashion advisor, so Fu gets stuck with the gig. It does not start smoothly, but eventually they develop some kind of rapport. Then they hook up. Ironically, Fu always preferred white guys up to now, but he starts to fall for his uptight client. Unfortunately, he simply cannot relate to the pressures keeping Qi in the closet. Like his reasonably accepting parents, Fu lets himself get his hopes up, setting himself up for a sucker punch from reality. 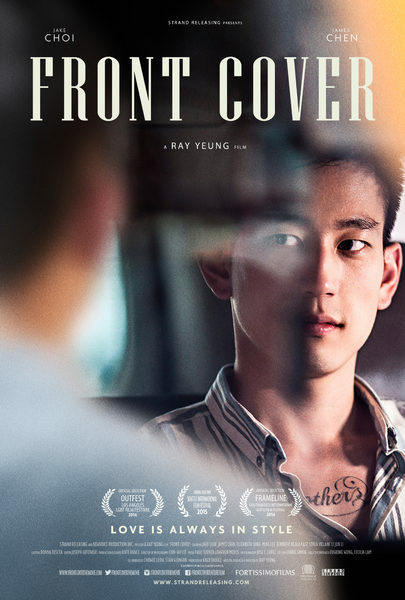 By now, the general narrative shape of Front Cover feels pretty familiar, but the cast is charismatic and the implied commentary on contemporary PRC homophobia is rather timely. (In contrast, the ROC on Taiwan is considered one of the more progressive Asian nations when it comes to LGBT rights.) Yeung also shows shrewd restraint, never overplaying his hand or stretching credulity. Instead, the film is rather appealingly bittersweet. To his credit, Jake Choi deftly walks a fine line between flamboyance and shtick. As Fu, he never descends into overt stereotype, so he remains good company throughout the picture. James Chen also lends welcome subtlety and dimension to the arrogant doth-protest-too-much Qi. However, national treasure Elizabeth Sung (The Joy Luck Club and a few thousand other films and television episodes) really gives Front Cover heart and soul as Fu’s mother Yen. All things considered, Yeung probably lets Qi and the sort of chauvinistic Mainlanders he represents off easy. Still, he manages to maintain a contradictory mood of buoyant melancholy throughout. It is a nice film, but far from an absolute viewing necessity. Earning a relaxed, laidback recommendation, Front Cover opens this Friday (8/5) in New York, at the Village East.